A lot of planning goes into creating a key system for your facility that will stand the test of time. In a previous article, you learned about patented and restricted keyways, cylinder types and other cylinder options. Besides the physical properties of the keys and cylinders, let’s look at what factors you should consider in order to design a key system. In new construction or re-keying a facility to implement a new key system, the owner needs to be prepared to attend one or several keying meetings. A well-balanced system that keeps security and convenience in mind, as well as has a plan in place for physical key control will last much longer than an overcomplicated one. 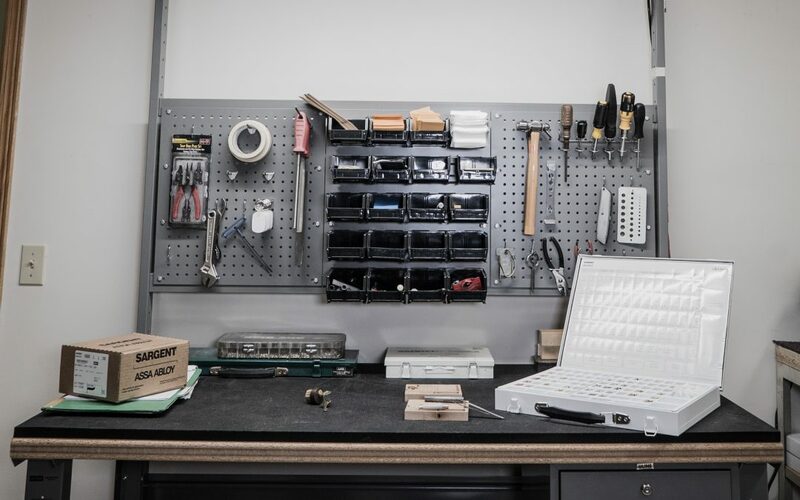 The Architect, General Contractor, Hardware supplier and possibly a manufacturer’s representative will most likely be at the key meeting with you. 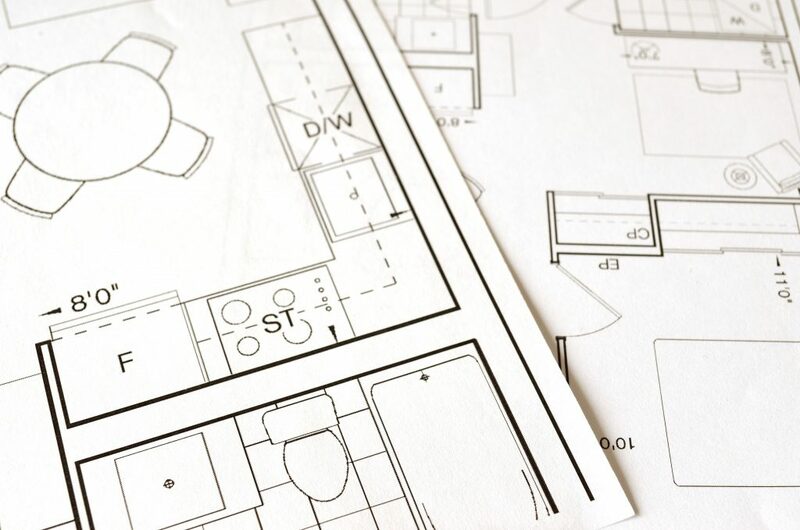 The hardware supplier will bring copies of the approved hardware schedule, floor plans with lockable doors highlighted, the hardware specification, and a list of questions for you the owner. Here are some things you can have ready before you attend. Meet with department heads prior to the key meeting in order to discuss workflow and access at various times of the day and/or on weekends. If you don’t have a set of the floor plans in PDF version, you can ask for a copy from the Architect ahead of time. Make sure to get a copy of the hardware schedule and hardware cut sheets so that you can review the functions of each door and verify the ones that are locked. Make any notes and questions you may have for the hardware supplier to clarify during the meeting. Will there be any buildings, wings, or additions that will need to go on this system in the future? It is easy to plan for future expansion of a key system up front, it is hard to do it after the fact. Manufacturers can and want to build this expansion in from the start. 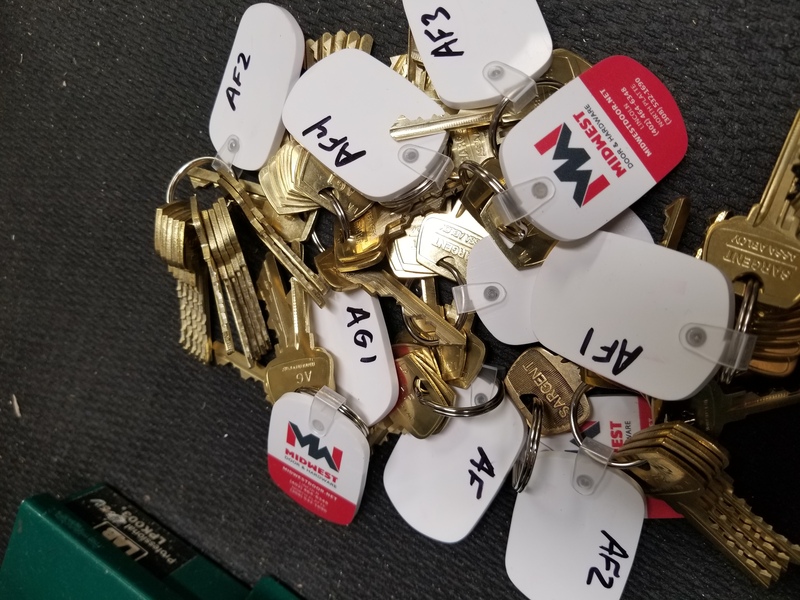 How does your facility currently address handing out and receiving keys back from employees and visitors and how do you track this? If you have no current key control at your facility, you will want to implement a new process with your new key system. Check the hardware specifications, does your system come with a key cabinet and/or key control tracking software? If not, you may want to ask the Architect to add this. It makes no sense to pay all that money to have a secure key system if you don’t keep track of the keys. Doors with access control will be programmed to accept credentials from various groups of employees and visitors for certain times of the day. In most cases, the locks or exit devices are equipped with a cylinder for key override. The keys should not be handed out or carried by very many people as that defeats the purpose of having access control in the first place, you want to know who has been coming in each door and at what time. Consider having the key override off the master key system and keyed alike as a special keyed group. These keys should be locked in the key cabinet until needed. 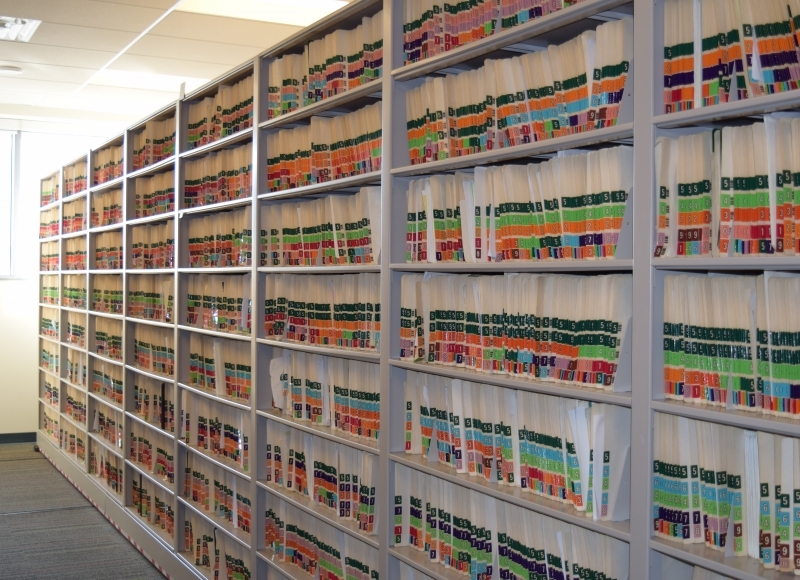 Are there any areas with documents, medications, or records that need special control? These rooms or storage areas may need to be off the master key system and keyed differently from each other to control access. Be very specific on how many keys of each group you will need. Who cleans the building and are there any areas off limits? Be aware of any locked areas that cleaners need access to but may be within an area of a different department. Many owners do not want to issue a Grand Master or even a Master Key to a cleaner, be prepared to discuss all types of access. Who will be in charge of keyed removable mullions, keyed cylinder dogging etc.? If building maintenance is in control of this function you may want to consider keying all of these type cylinders alike to one change key. This way if you ever need to give someone else the key to undog/dog an exit device, you aren’t giving them a high level key. Do you have an employee entrance? If it has access control, then employees won’t need a key to any exterior doors, they can use their credential. Are any doors used by the public after hours in a rental situation? If so, identify which exterior doors they will need access to and key the other ones different from those. If there are any locks with cylinders on both sides, are both sides keyed the same or possibly different? Classroom security locks are keyed both sides as well as some other functions of locks. Depending on your facility lockdown or other procedure for locking doors, it may make sense to have the outside cylinder keyed differently from the inside cylinder. How many physical keys of each type will be needed, make sure to count the original keys that will be kept locked in a key cabinet plus any for visitors. The hardware specifications will let you know whether you are allotted 2 keys or 3 keys per cylinder and how many control, master, grand master keys etc. are in the contract. You can however and should assign the quantity of keys based on how many you will be issuing. Let’s say you have 3 keys per cylinder and there are 100 locks, that gives you 300 keys. You may have 30 doors all keyed alike to one keyset but only need 10 copies of that one key. Use the remaining keys on other sets you may need in higher quantity than what is allotted. The hardware supplier should be directing the meeting and they will guide you in the proper nomenclature, functions of locks, and assist you in deciding whether your facility is a candidate for a Master Key system or if it should be set up as a Grand Master Key system or higher. The more prepared you are ahead of time, the easier it will be to communicate your needs for a secure and balanced key system.